We believe that we don't just offer pest control: we offer pest prevention. Knowing pests' natural habitats and life cycle gives us the upper hand in prevention, so we do more than just control after the invasion. We are here to prevent, not just eliminate. Pests have that name for a reason, and none of us want to have to deal with an uncomfortable and annoying pest situation. There are even some pests that will pose health risks, such as rodents and roaches. Pests can also influence your quality of life. Our method is not simply the old-fashioned route of pest control, which is spraying a general insecticide around the perimeter of your house on a monthly calendar, no matter what. We are different: we take the proactive approach to pest control, controlling the harborage areas, entry points, breeding sites, and we continue looking for evidence that a pest is targeting your home to stop it in its tracks. This takes a professional, more knowledgeable approach to pest control, which requires extensive knowledge of the pest and products that are available. See why the FullScope Pest Control is the superior choice for all your pest control needs. We want you to be satisfied with our service and preventative programs, but if for some reason you are not satisfied with the results, we will provide a corrective service at no charge to you. If after 30 days, the problem still exists, we will continue to provide the necessary service at no additional charge. 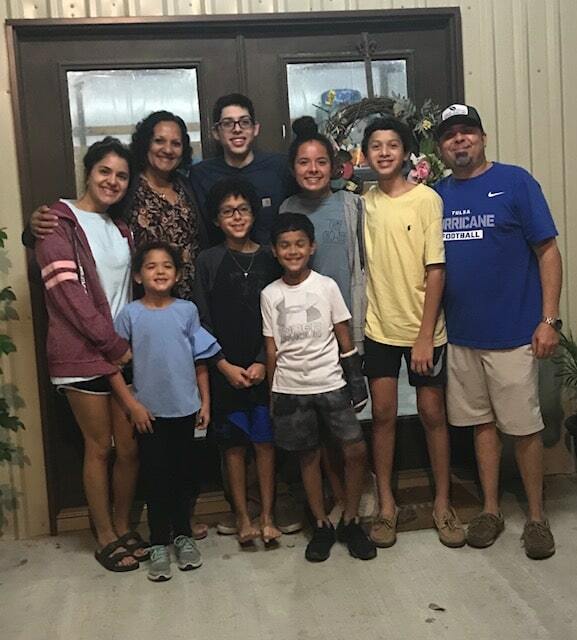 Fullscope Pest Control was founded in 2018 by Derek Salazar, by a lifetime resident of the Houston area. 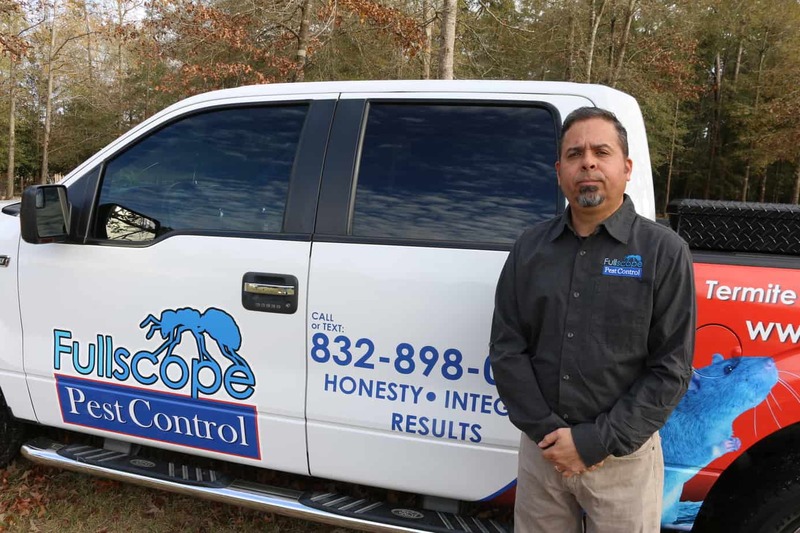 Although, Fullscope Pest Control is new to servicing customers, Derek Salazar brings over 30 years of industry experience and knowledge to the company, spending the past 30 years in the pest control industry, in both the commercial and residential. We have been sharing our chemical and pest knowledge to technicians across the south for those years and know we can service your home or commercial facility with top-notch results. We are proud to now offer our experience to you, the most important part of the pest control industry. FullScope Pest Control will be serving the Kingwood, Atascocita, Humble, Cleveland, Splendora, New Caney, Porter and surrounding areas. With a highly technical and hands-on background, FullScope not only brings you solutions, but also professional friendly technicians who care about protection your family, pets, and property. At Fullscope Pest Control we specialize in both commercial and residential pest management offering solutions to virtually all of your pest problems. If you are experiencing pest problems of any kind whether they are roaches, ants, fleas, mosquitoes, termites, and rodents, you owe it to yourself to give FullScope Pest Control the opportunity to solve your problem. FullScope employs the latest innovative methods of Pest Management Practices and implements progressive techniques with your specific pest elimination needs in mind, whether you own a residential or commercial establishment. FullScope Pest Control was founded for the purpose of providing quality pest control that is safe, effective, convenient, and affordable. We employ our core values daily of honesty, integrity, and satisfying results. Let FullScope Pest Control WOW you with our unmatched quality customer service today. Already experienced exceptional service from FullScope Pest Control, Leave Us a Review! The team was super helpful and very knowledgeable. They answered all my questions and concerns. Would refer them to anyone with pest problems! Honest, reliable, excellent service. Years of experience. Very professional, did a great job and attention to details was amazing. Derek found issues I had not even thought to consider. Would recommend using this company to anyone. You will not be sorry you called them. Prompt and courteous. Love the technology used to communicate. Quick and easy. Derek is a very knowledgeable, honest and hardworking person! FullScope is my choice and should be yours! Thanks Derek and FullScope! FullScope Pest control is a great company! Their people where very knowledgeable and kind and helped me with every step of the way! They have so much variety when it comes to ways of killing the things you don’t want around the house, and their customer service is amazing. Also their website is very detailed and gives a lot of information. Customer service was great!!!!! Recommend to anyone struggling with a pest issue at home. Will definetely call Fullscope if needed in the future! Knew exactly what to do and took care of eveything! And Omg the prices are so reasonable!! !